Back Pain & Arthritis Clinic is located in Ali Medical Centre at F8 Markaz, Islamabad. 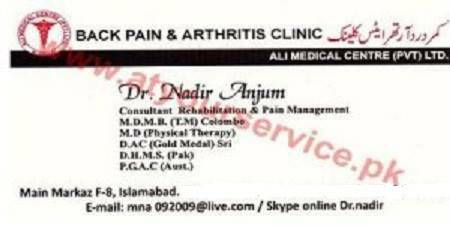 For treatment of chronic pains, the specialist doctor Nadir Anjum is available. He is Rehabilitation & Pain Management Consultant.